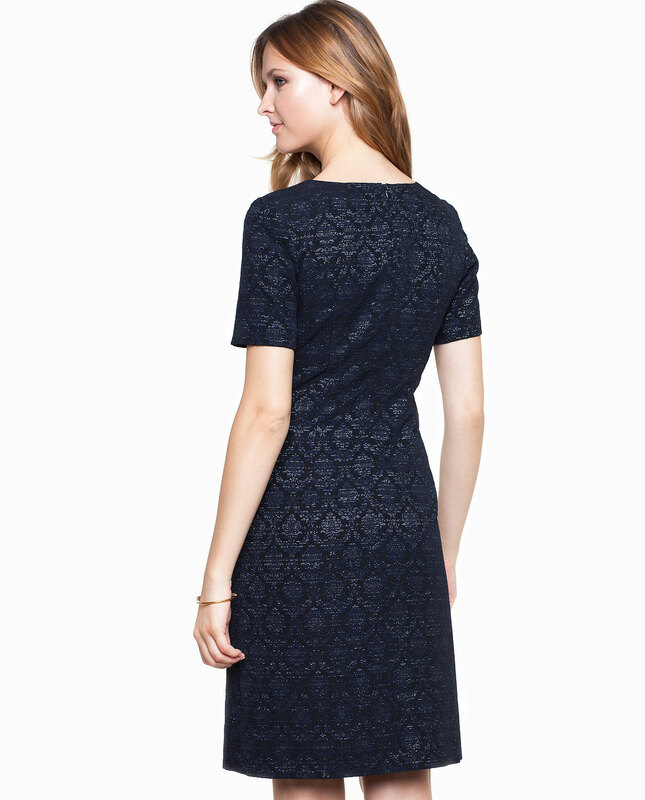 An elegant, short-sleeved dress manufactured from glossy Jackard fabric. 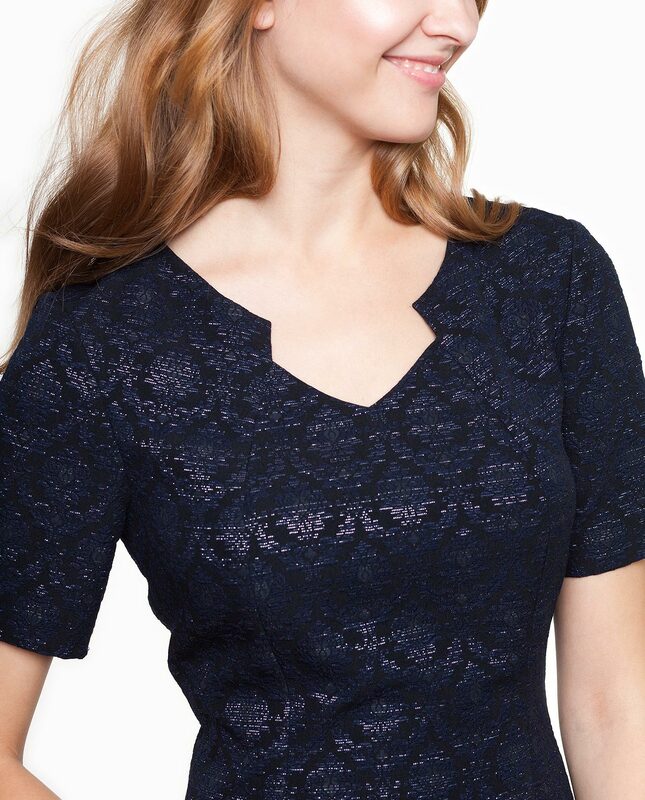 An unconventional neckline exposes the upper body parts. There are special darts allowing the garment to fit to the bodyshape and accentuate the overall appeal. There is a long back zipper. The lining makes it easy and comfortable to put on and take off. 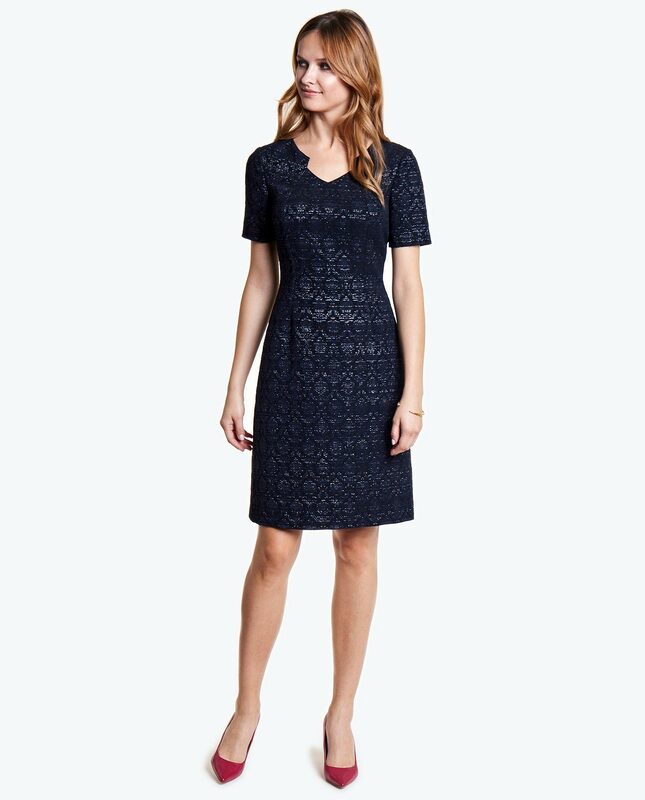 The dress would be a lovely pick for dailylife, a proper outfit for work as well as an evening out.